This isn’t your ordinary healthy vending machine. This beautiful, distinctive vending system attracts customers like a magnet. Business offices, health clubs, hospitals, hotels, schools & colleges everywhere love having it on their premises. Selling popular healthy snacks & drinks! High security, tamper-resistant industrial locking system with anti-theft design. Written Lifetime Warranty! State-of-the-art striking design engineered to attract more people of more age groups, in quality, high-traffic locations! Incorporates a smaller, more energy efficient compressor and fan motor (cooling system) resulting in lower energy costs and less pollution. Enhanced insulation results in more off-time for compressor and motor – using less energy and extending the life of these parts. A more efficient LED lighting system also keeps products just as visible but with lower energy usage! Utilizing our optional MediaLink™Digital Display Package, you’ll stop people cold in their tracks with the 7” LCD screen that’s strategically positioned on the machine to attract more eyeballs. Take the guesswork out of your business by being able to monitor and manage sales, profit margins, inventory, etc. Streamline the operation of your vending business with this proprietary software created specifically for HealthyYOU Vending Operators. Go above and beyond offering your customers the ability to pay with their credit/debit cards. Now they can pay for their purchases with a simple tap of their smartphone-including Apple Pay, Google Wallet and other applications. Optimize your business by preparing custom machine settings at home and downloading them directly into your machines. Change product pricing, offer discounted vends for specific hours or weekends, control the refrigeration system, lighting, internal clock, calorie information, custom display messages, trouble shooting, and much more! 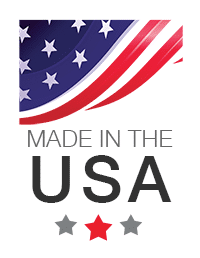 Starting with cold-rolled steel purchased in the Midwestern States, you can have confidence in knowing that your HealthyYOU machines are made in a 110,000 square foot state-of-the-art manufacturing facility in Freeport, Illinois. For over 25 years it has been the commitment of Seaga Manufacturing’s skilled engineers, production teams, customer service members and experienced technicians to be dedicated to the production of a quality product. Factory tours are available for prospective operators to see the A to Z process of HealthyYOU machines being built alongside equipment for vending staples such as Coca-Cola and Pepsi. In a recent series called “Machines – How They Work”, the Science Channel featured the manufacturing of vending machines. When producing the video, they chose our manufacturer’s plant in Freeport, Illinois — citing Seaga as “America’s Fasting Growing Vending Machine Company.” Click on the video clip below to see the very machinery used to produce the HealthyYOU machines. Although the traditional vending equipment featured is for a different product line, many of the vending machine parts you see are the same parts built into the HealthyYOU machines. Other vending companies boast of high quality machines – but ask them about their warranty. The average vending machine warranty is one year. We back our machine with a Lifetime Warranty. We also provide lifetime fire, theft and vandalism coverage. No other company comes close to providing the same level of protection. You wouldn’t buy a home without a certified inspection and you shouldn't invest in uncertified vending equipment. The HealthyYOU Vending System is certified by the National Automatic Merchandising Association (NAMA) in all 50 U.S. States and Canada. Our equipment meets the governing “standard for sanitary design and construction” and incorporates the requirements of the FDA Model Food Code. The HealthyYOU vending machine has stood up to the rigorous 79-point checklist required by NAMA inspectors. To review the intensive testing and scrutiny documentation required by NAMA, please click below. It’s important to note several of our competitor’s machines are not NAMA certified. They may be legally used in the 15 states without a strong health code, but they cannot be used in most states – most likely yours. Be sure to ask for a NAMA certification letter from any company you may be considering. We’ll gladly provide ours.